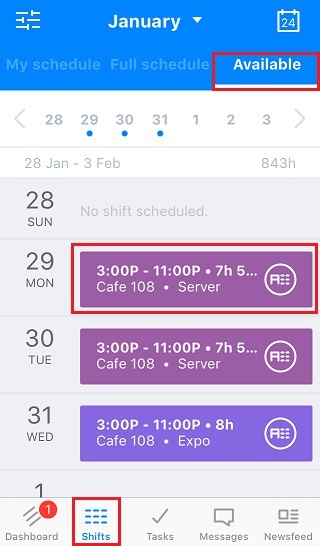 How do I apply for available shifts in the app? 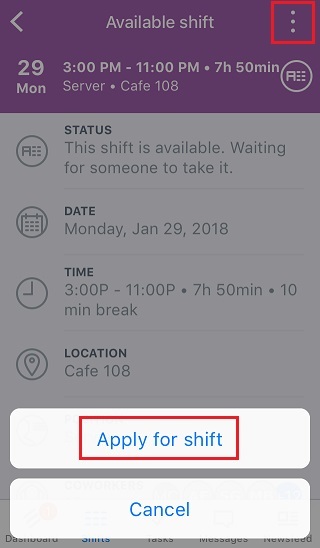 Go to the Shifts tab and tap the Available tab at the top right to see a list of available shifts. Tap the shift you'd like to apply for to open the details. Next, click on the options menu (3 dots) in the top right corner. 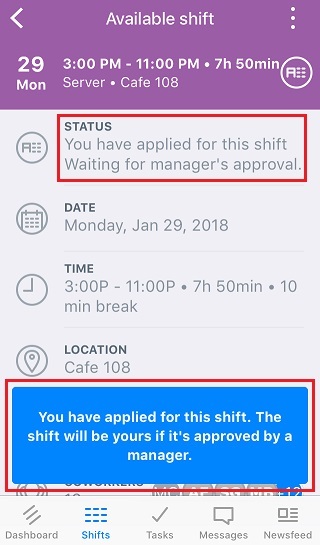 You’ll see an option to apply for the shift there. You'll get confirmation that you have successfully applied and are waiting for a manager's approval.